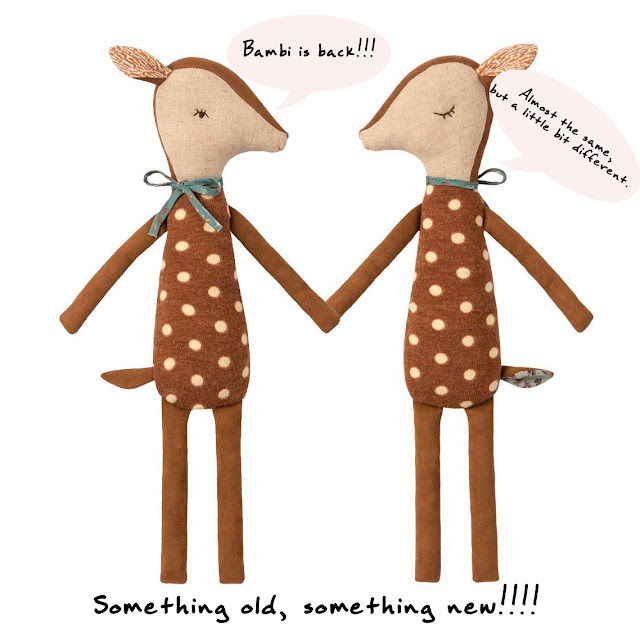 Knuffels à la carte blog: Maileg Bambi is back!!! Look who's back again! 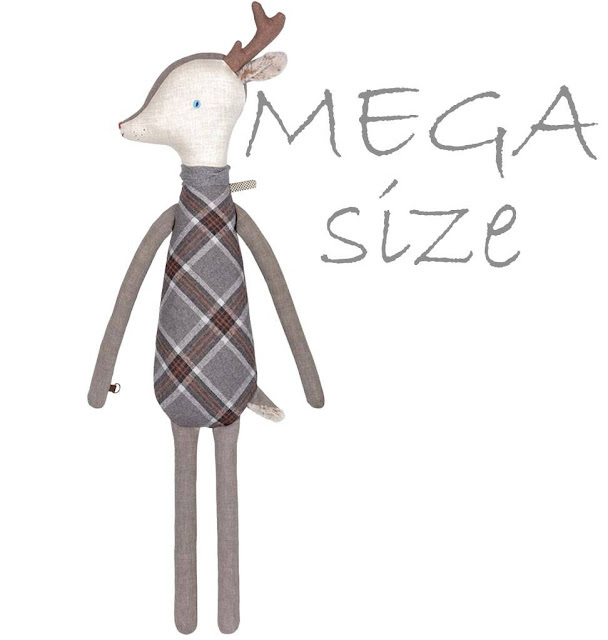 It's Sleepy Wakey Bambi from Danish brand Maileg. The new Bambi is a little different from the old model. A real bestseller, which lives in many children's rooms and nursery's all over the world. We can pack Bambi for you in the new 'Mice Party' wrapping paper from Maileg. Visit our shop and buy your Sleepy Wakey Bambi now! Maileg mega Sleepy Wakey reindeer. New Wild things from Donna Wilson!! What's on the menu this Christmas? Soft, stylish & cuddly friends! Christmas discount!!! Don't miss it!